On the 10th November 2009, the Artwiculate Word of the Day was Propinquity. Associating with 6° of Separation and 6° of Kevin Bacon, I came up with a game to play within the game of Artwiculate. 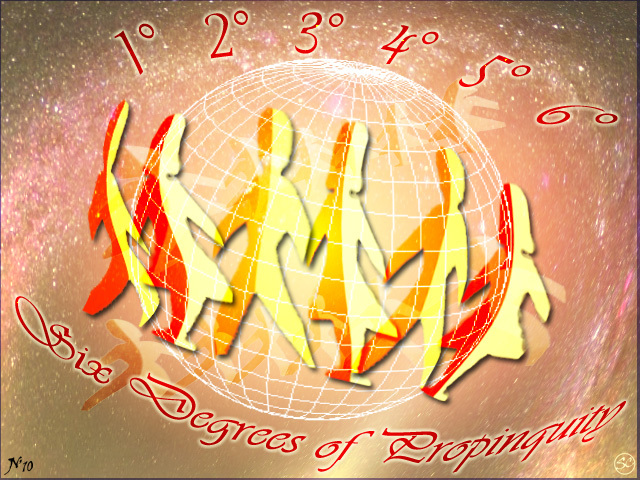 Six Degrees (6º) of Propinquity – the game for etymophiles and lexicophiles. Link two apparently unconnected words in six or fewer stages. And all without benefit of coffee – which I’m off to get now.